The TrucknTow.com Reward Points Program allows you to earn points for everyday actions you take on the site. Points are awarded for purchases and other activities such as submitting reviews, or referring a friend. If you have not already created an account, Click here to earn 300 reward points now by creating your account and opting in to our discount emails. Once you register, you will automatically earn and accrue reward points. Reward points are redeemable at the time of purchase, and they can be used as a method of payment when you check out. Rewards are intended to be an added bonus to your shopping experience on the site, and are just one of the ways we thank you for being a loyal customer. Making Purchases — Every time you make a purchase you earn 1 reward point for every dollar spent. These points are automatically added to your reward points balance. Registering For An Account — New users will receive a one-time 100 reward point bonus just for creating an account. Subscribing To Our Email List For The First Time — New members of our email savings club will receive a one-time 200 reward point bonus for signing up. Converting Invitations To Customer Sign Ups — 25 reward points are earned for every invitation you send out which leads to your friends registering on the site. Converting Invitations To Orders — 200 reward points are earned for every invitation you send out which leads to a sale. Submitting A Product Review — Earn 100 reward points for submitting a genuine product review. Reward points are redeemed at checkout. If you have accumulated enough points to make a redemption, you will see the option of using points as one of the payment methods. The option to use reward points, as well as your balance and the monetary equivalent this balance, will be shown to you in the Payment Method area during checkout. Redeemable reward points can be used in conjunction with other payment methods such as credit cards, gift cards and more. Reward points carry a minimum value required for redemption.  Once you accrue 500 reward points, you will be able to use your points towards purchases at TrucknTow.com. Reward points are also capped at a maximum value of 10,000 points which can be accrued. If you have already accrued the maximum allowable reward points, you will need to redeem your accrued points before you are able to earn more points. Reward points expire after one year. Points will expire in the order from which they were first earned. Click here to earn 300 reward points now by creating your account and opting in to our discount emails.